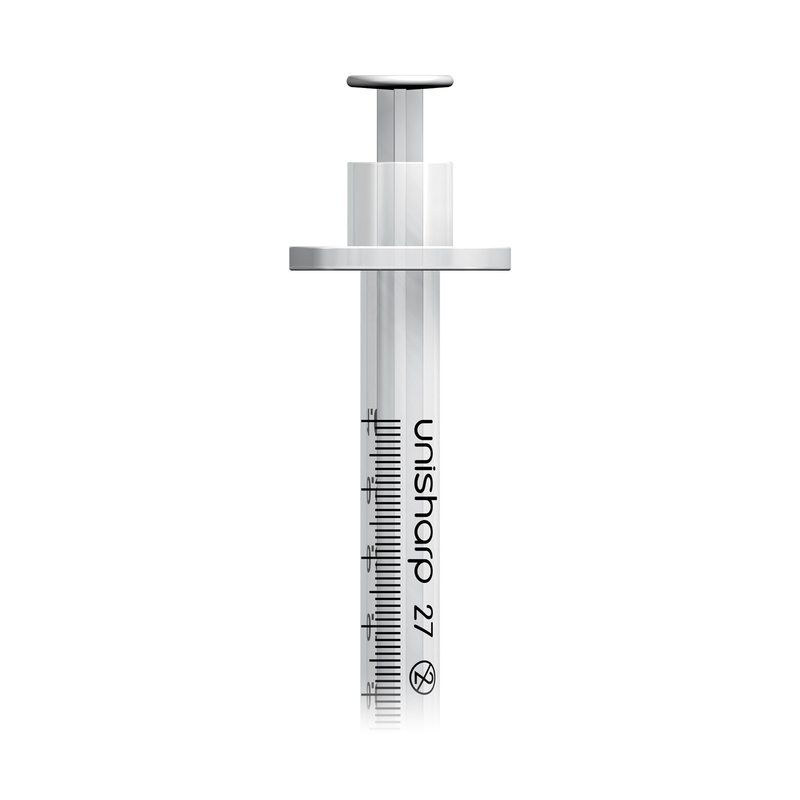 Unisharp 1ml fixed needle syringe, with a 27G needle, and white plunger and needle cap. Unisharp 1ml fixed needle syringes are used for injecting water soluble drugs. The 27G needle is slightly thicker and stronger than the 29G and 30G needles, and is mainly used for injecting drugs into veins, especially where there is scar tissue which makes injecting with thinner needles difficult. 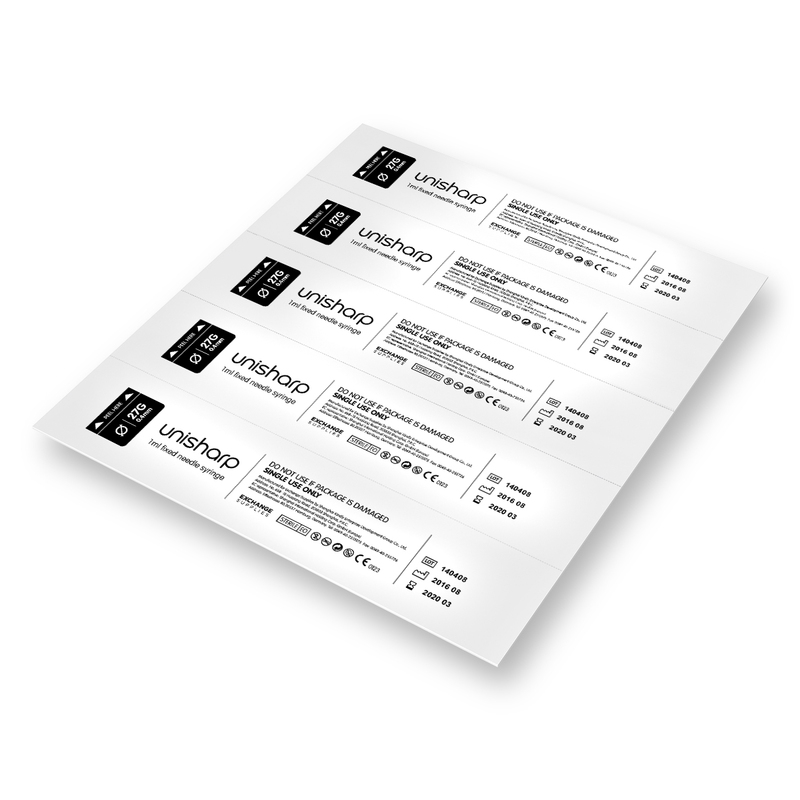 Also available in 29G and 30G needle sizes. 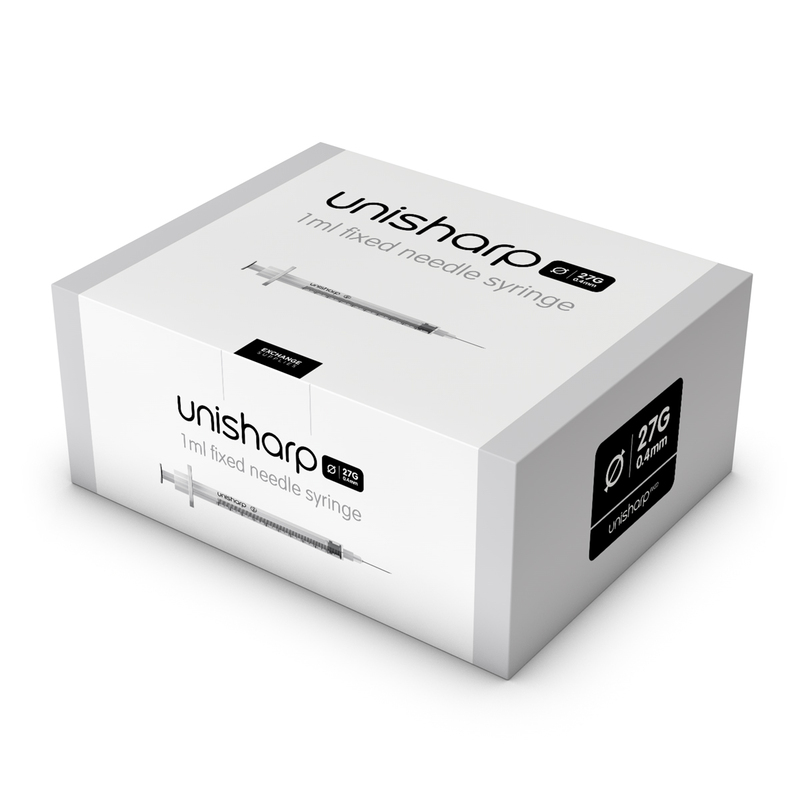 The 27G Unisharp fixed is also available in Teal green. It is a low dead space (LDS) syringe. This product is available for volume direct shipping by container. 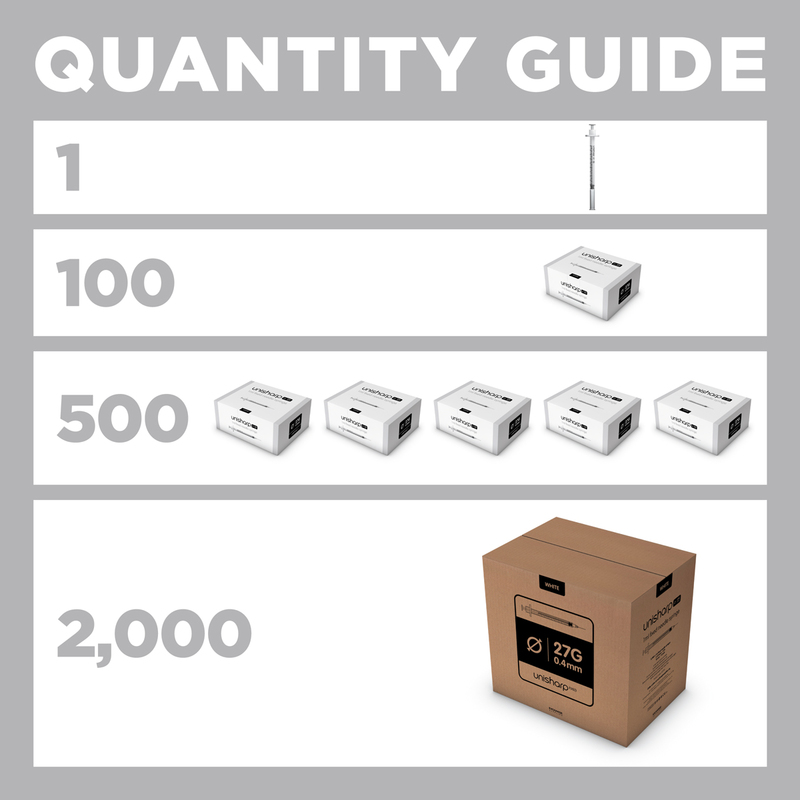 To help you plan your order, we have collected the import/export information you need below. Please note: the price above is subject to change, must be formally quoted before an order is placed, and excludes shipping and taxes. Terms and conditions apply.